Combines soothing warmth of neoprene elbow sleeve with a counterforce strap that restricts full extension of muscles and tendons. Combines soothing warmth of neoprene elbow sleeve with a counterforce strap that restricts full extension of muscles and tendons. Contact closure strap with D-ring provides exact fit and adjustment. Ideal for Medial epicondylitis (Golfer's elbow) and Lateral epicondylitis (Tennis elbow). 8" length. I have pain just above and just below my elbow, will this work to help stabilize the elbow joint (thus reducing the pain)? Dr. did diagnose tennis elbow. Does this fit over elbow or below? Not sure from photo. What you need is something to prevent you from bending your elbow while sleeping. We do not have a brace for that but you can try the Spider elbow pad and wear it so that the padding is on the inside of your elbow and it should prevent some of that bending. I'm looking for a brace for my daughter who is a competitive gymnast. She injured her elbow 6 months ago and it is now giving her problems again. Does this brace do well with bending to do bars? And will it give her extra support while tumbling? I'm not really looking for something for hyper extending. I'm looking for a brace that will give her support, but allow her full range of motion. The Procare Tennis Elbow Support if used for tendonitis of the elbow and will help reduce pain but still allow full ROM of the elbow. If she down not have tendonitis, you may want to try the Trizone Elbow Support https://www.betterbraces.com/trizone-elbow-support . How long should I wear this brace? Are you supposed to wear it to bed? How would you clean it. I play the flute will this help my tennis elbow while I play or should I just take a break from the flute? The brace should help while you are playing. My doctor gave me a script for an elbow brace for tennis elbow. I have it on both sides of my elbow. Can you recommend one for me? I would suggest the DonJoy Performance Trizone Tenniss/Golf Support . 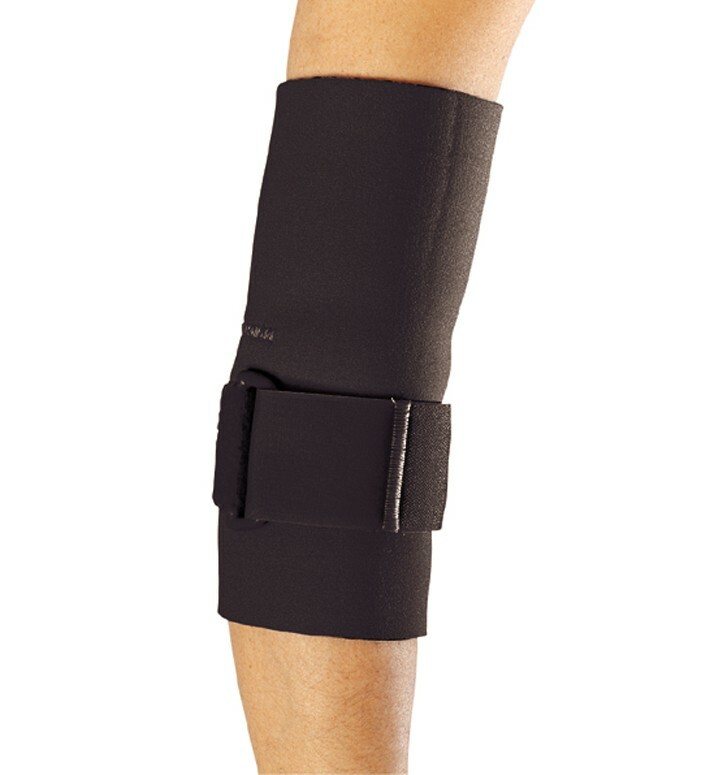 This brace will apply compression to target both sides of your elbow to help relieve the pain from the tendinitis. I have elbow pain from playing racquetball, probably from swinging too hard. I assume racquetball elbow and tennis elbow are similar and this brace will reduce/eliminate related pain? If my forearm is 9" at the widest place would I order xs or s? This tennis elbow support will give you the same support but also give you compression with the sleeve. I play in a couple of adult softball leagues and probably due to improper throwing mechanics, I tend to get immense pain on the inner side of my elbow when throwing, especially from outfield. Would this brace help with this pain and can I wear it while playing? Or is there a different brace I should be looking at to assist with this? You can wear this brace for medial tendonitis as well as lateral. You will want to have the pad on the inside of your elbow. Does this brace help with support for playing volleyball after a medial torn UCL injury? Does this brace help golfer elbow ? Can u play with this on? Will this brace prevent hyper extension of the elbow? I've discovered I over extend my elbow when I sleep. I'm looking for something I can wear at night. Please advise. Where is the measurement taken to determine the correct size for the ProCare Tennis Elbow Support . The correct location to measure for the ProCare Tennis Elbow Support is the circumference of the forearm at the largest spot. I continue to have problems with golfers elbow due to the fact that my husband is disabled and I lift his cart and walker into and out of the car everyday. This brace is the best I've found to give the support that my arm requires. Thank you for a great product at a great price.